Key Terms to understand for Total Quality Management - Something New Everyday! In a competitive business era now a days, an adequate percentage of companies are taking effective measures for Cost Reduction, ISO Compliance, Continuous Improvements and Process Excellence in order to ensure Total Quality Management (TQM). Below are some of the terminology to be understood by the executives while carrying out the TQM activities. Continuous improvement: An activity to ensure repeated improvements in products and/or services. Improvements can be continuous (linear rate), Continual (gradual rate) or breakthrough (major improvements). Corrective action: An action to fix the undesirable situation which is minor or major conformity. Audit: An audit is a systematic, analytical, controlled and documented process in order to identify and quantify the root cause of any event. Audit evidence: Qualitative or quantitative proof of record, statement, document, incident or a fact related to the audit. Resource Record Management: Record keeping of all assets including fixtures, computers, accessories, stationary, manuals, drawing, software, shipping containers and so on. Customer satisfaction: Criteria to define the degree of compliance with the customer requirements. Preventive action: An action to eradicate the root cause of a potential nonconformity so that it may not occur again. Products and Services: The hardware and/or activities which have been defined and agreed by the customer in the legal business document. Quality: Measurement of the degree to which specific characteristics of the products and services fulfill the requirements agreed. Quality Control: Techniques to ensure the quality by way of consistent audits, pre and post execution activities. 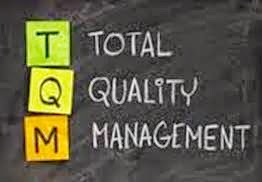 Quality Management: Consistent activities in order to control the quality of product and/or services. Quality policy: The generic statement prepared by the leadership of any organization on how they define the Quality for Products and Services and how they intend to ensure the same. Policies and Procedures: Foundations of organization on how their day to day Operations run including Procurement, Risk, Resources, Integration, Time, Scope, Cost, Communication and Quality management. Begin Your Leadership Journey NOW !!! Records management in Kentucky is the systematic and administrative control of records throughout their life cycle to ensure efficiency and economy in their creation, use, handling, control, maintenance, and disposition.